"We have initiated process of Neeshal Modi who is wanted accused in PNB scam. A chargesheet has been already filed against him and his extradition is instrumental for the investigation," said an official. The Central Bureau of Investigation (CBI), probing the Punjab National Bank scam has started extradition process of Nirav Modi's brother Neeshal Modi. 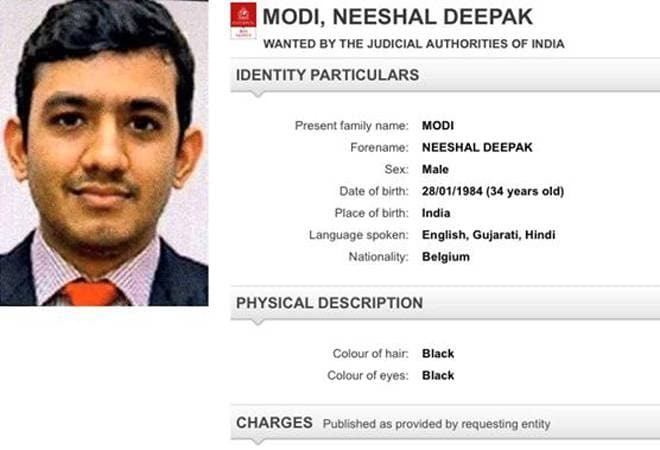 The extradition request has been sent to Ministry of Home Affairs (MHA) to extradite Neeshal Modi from Belgium. Sources have told India Today that Neeshal Modi set up shell companies for Nirav Modi to route the money which was taken from the Punjab National Bank to the tune of Rs 13,000 crore. Neeshal Modi, who is a Belgian citizen has been spotted in Belgium, said a source. A red corner notice has already been issued against the duo by Interpol. The Central Bureau of Investigation (CBI) has charged Neeshal Modi with criminal conspiracy, criminal breach of trust, cheating, dishonesty and the Prevention of Corruption Act. Officials say though Neeshal is a Belgian citizen, he can still be extradited because the crime was committed on Indian soil. An extradition treaty exists between India and Belgium. A special Fugitive Economic Offenders Act court in Mumbai has summoned Neeshal and asked him to appear before it on September 25 at 11 am. If he fails to do so, the court said his assets will be confiscated. Meanwhile, India has submitted all documents required for Nirav Modi's extradition to authorities in the United Kingdom. "The authorities have told us that they are looking into it. Extradition and provisional arrest are complicated process and it may take some time," a senior official said.